Chopstix developed a professional relationship with Petrogas, the largest Irish independent forecourt retailer, who has made the commitment of opening several Chopstix outlets across the Applegreen estate, their motorway service station and forecourt brand. The new Lusk North restaurant is the third site for Chopstix and Petrogas’ partnership. Following the huge success of the pilot sites, in Galway and Templepatrick, Lusk North was the next logical step for Applegreen. 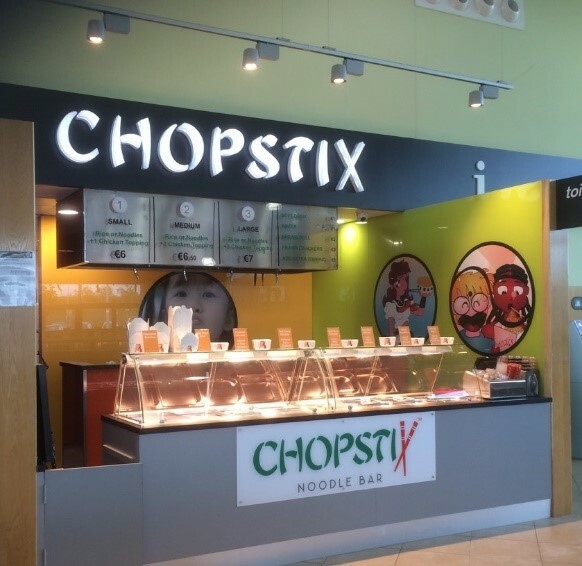 With a comprehensive franchise support program in place, Chopstix Groups UK is ready to support Master Franchisees worldwide and the beautiful Northern and Southern Ireland. The Chopstix brand delivers net profit margins of over 60%, which contributes to the popularity of the business model! Following continued and accelerated growthfor the two partners, a further seven sites are planned over 2015. Chopstix Group is an emerging Oriental fast-food restaurant chain with now over 45 sites spreading across the UK and Ireland. The Chopstix group has grown into a unique brand-led fast food chain blending the best fusion of authentic Oriental inspired fast food with casual, convenient dining experiences on offer at affordable prices. In addition, Chopstix’s chefs cook the food on site to ensure each dish is served as fresh as possible and deliver chef theatre. Although the concept of Chopstix was conceived over a decade ago, it has picked up pace and rapidly expanded in the last 4 years, which focuses on fresh, nutritious tasty Oriental cuisine from the finest ingredients and most innovative fusion recipes to the health conscious. 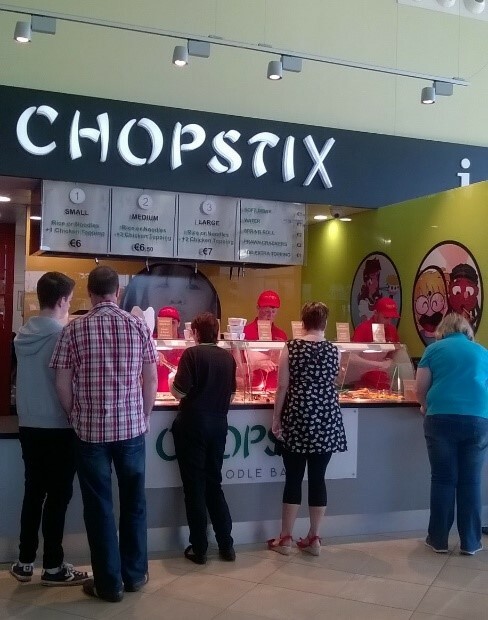 Since the first major shopping centre branch opened at Bluewater in 2010, Chopstix has become a staple in the shopping centre food court.